HTC has decided to step out of its smartphone comfort zone and announce an action camera. 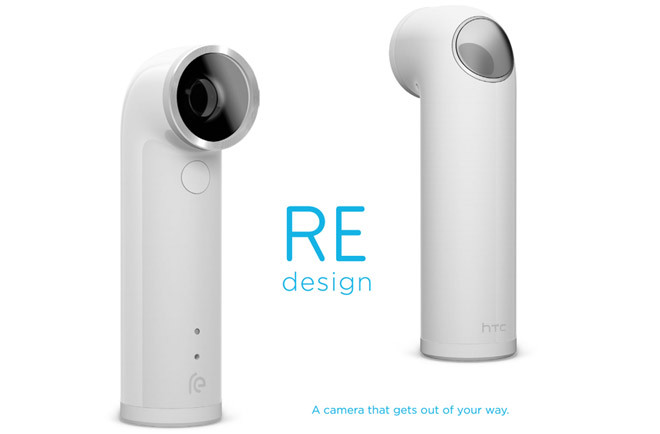 Dubbed simply the HTC RE, the camera boasts a 16MP 1/2.3″ CMOS sensor with an 146° ultra wide angle lens. And since it’s an action camera, the RE is IP57 dust and water resistant (you can optionally bump the certification to IPx8 with an accessory cap). 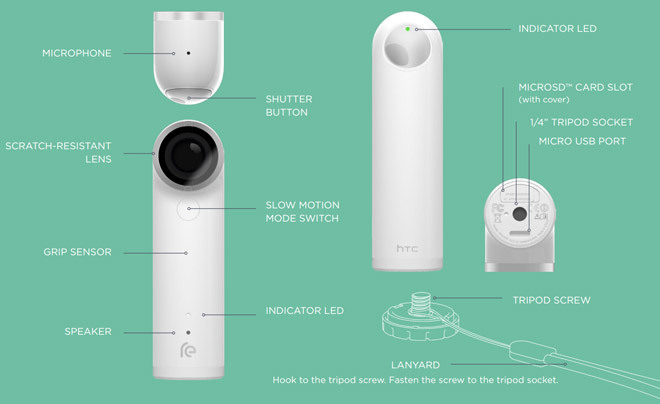 HTC’s first action camera records 1080p@30 fps video and 720p@120fps slow-motion video. Inside the RE, there’s a grip sensor, which activates the camera as you pick it up. On board there’s a large shutter button, which captures shots on short press and videos on press and hold. The battery of the RE is 820mAh and can take 1,200 16MP photos or 1 hour and 40 minutes of 1080p footage. Other specs include 8GB of internal memory and a microSD card slot (up to 128GB), Wi-Fi 802.11 a/b/g/n and Bluetooth 4.0. The latter two are used to connect the RE with your smartphone so that you can share and sync photos and videos. It works with the HTC Zoe app, too. 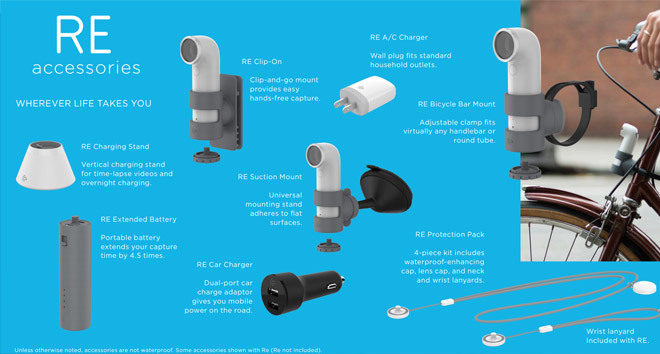 HTC has made a lot of accessories for the RE. There’s a stylish vertical charging stand, an extended battery and a trio of mounts. One of them is a clip-on and the other is a suction cup which allows you to place it on your dashboard. HTC hasn’t disregarded cyclists as there’s also a bicycle mount, which fits on any handlebar or round tube. The RE will be available in the US by the end of October with more markets following later on and the price tag it is carrying is $199. You can check out how the HTC RE performs as well as our initial impressions of the action camera in our extensive hands-on.